Phew.. I was about to have a serious Mandela effect concern on my hands there.. Irony is that, when you remove the Indy 500 races in the 50's from the list, the 1000th race would have been: Monza 2019. Aida was such a fun, ittle and much-loved circuit. I wouldn't mind to have it back on the calendar. Much loved? Are you sure? I thought people loved the beautiful surrounding landscape and the flowing nature of the track? 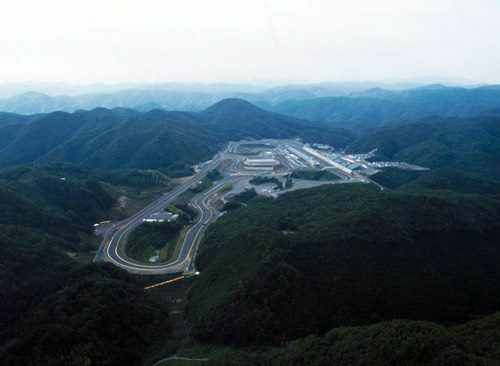 The surrounding landscape meant that the teams had to locate miles from the circuit. It was a logistical nightmare. Flowing nature.....? Short straight, tight turn, short straight, hairpin, short straight, hairpin, sharp turn, sharp turn, short straight, hairpin, hairpin, sharp turn, sharp turn. I can't believe you're still falling for the trolling. Naaaah, don't make up excuses here. Just 'fess up. He got you gooooooooooood this time. Hmmm, I think you’re just embarrassed that you got got. In more Chinese news, I hear they're thinking about a second Chinese grand prix.